The weather was ghastly, cold and wet today. 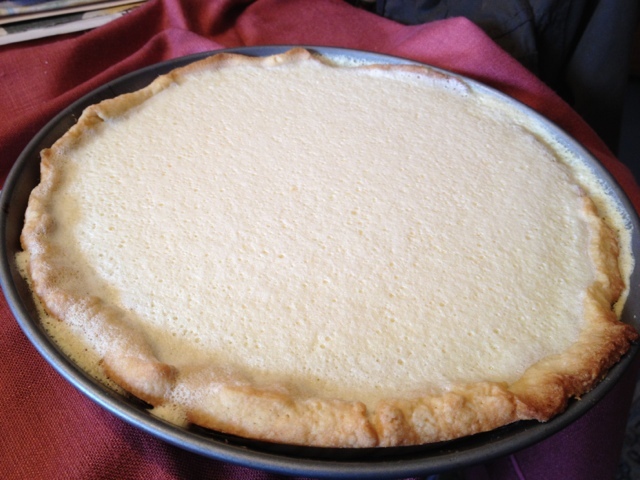 I thought I’d cook something with a lot of vitamin C. Lemons are a good source of vitamin C so I bought a bag of organic lemons to make a lemon tart. The recipe is from Saisonküche, issue 7/2004, an issue dedicated to Irish recipes. The one I am using here is from chef Feargal O’Donnell. 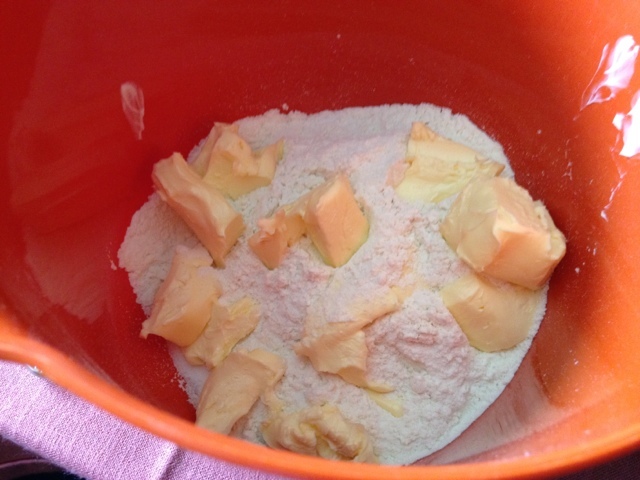 First you have to prepare the shortcrust pastry by mixing 100g cold butter with 200g flour, 50g sugar and a pinch of salt. 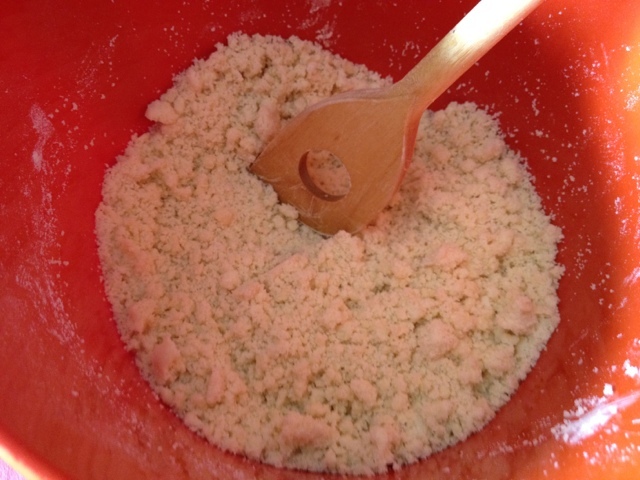 Add 1 egg and a tablespoon of ice cold water to the crumbly mix and work it into a pastry dough. 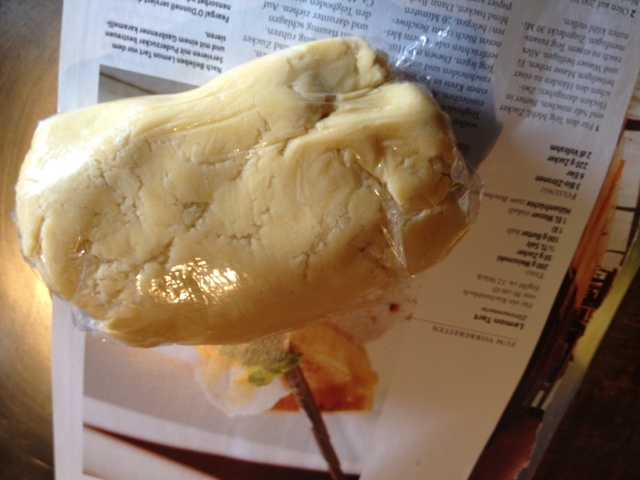 Put the shortcrust pastry in the fridge for 30 minutes. 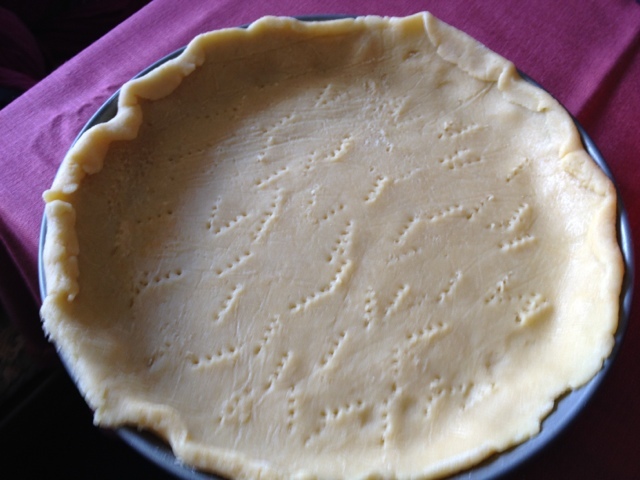 Then roll out the pastry about 3mm thin and put it in a round pie form (30cm diameter). Bake it blind (i.e. 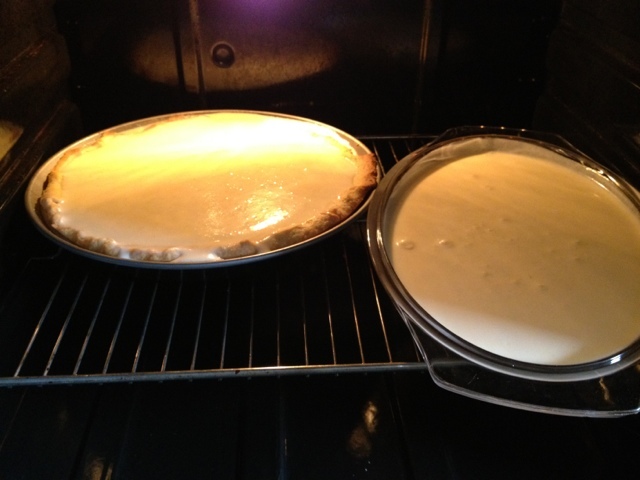 with dried beans or second pie dish on top) for 10 minutes at 200 degrees Celsius. 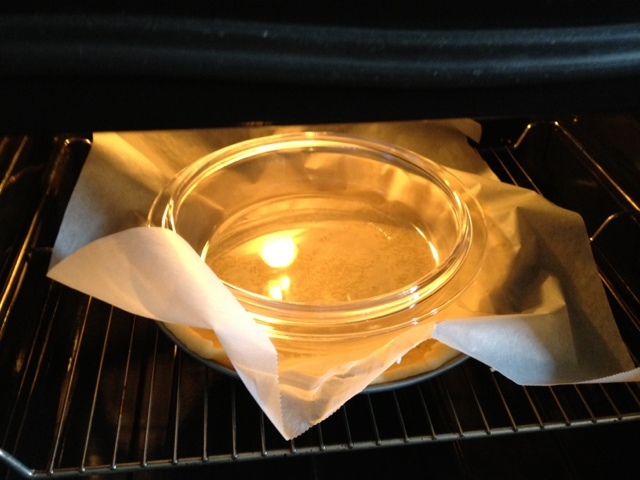 Then remove the beans/pie dish and bake for a further 10 minutes. In the meantime prepare the filling and start off with grating the peel off of three lemons. 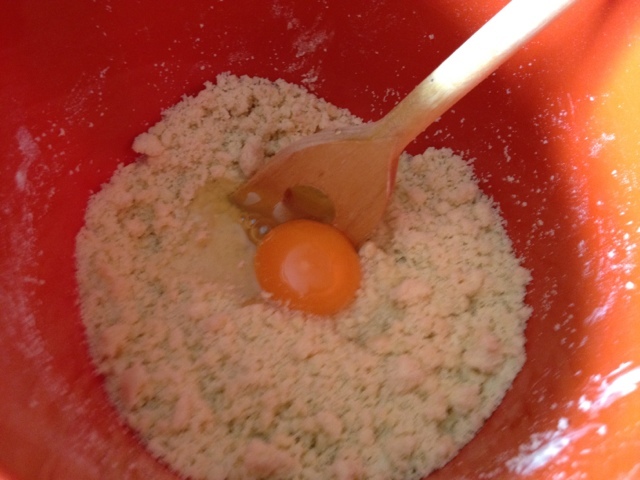 Put it in a bowl together with the lemon juice. 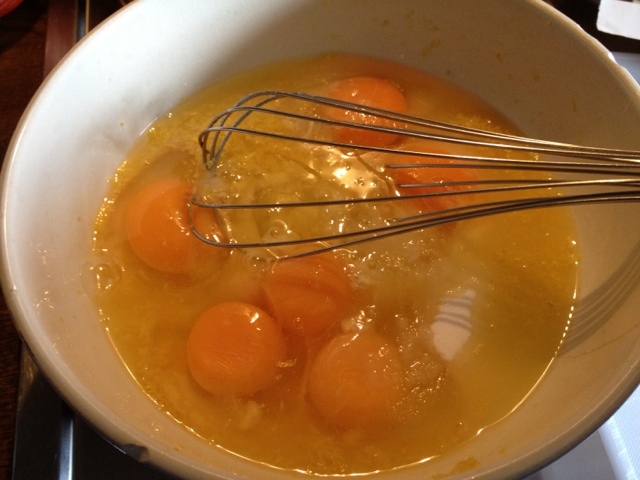 Add 220g sugar and 6 eggs. 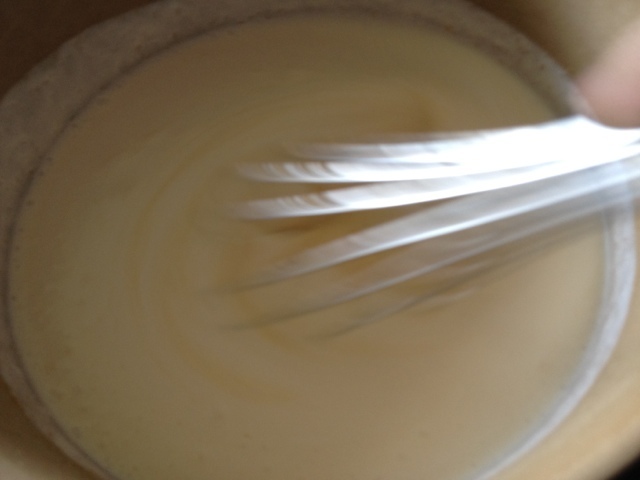 Finally, add 2dl lightly whipped cream. Pour the lemon filling into the pastry mould and bake at 140 degrees Celsius for 35-40 minutes (until the lemon filling has set). I had to use a smaller pie dish and baked the leftover filling in a gratin dish. 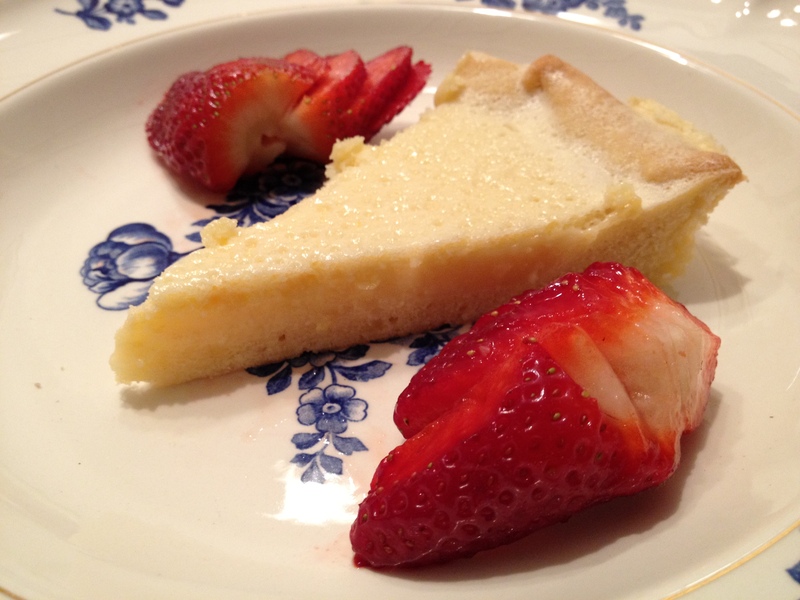 The result was delicious and the right balance between sweet and tart. A great recipe from Mr. O’Donnell, indeed!